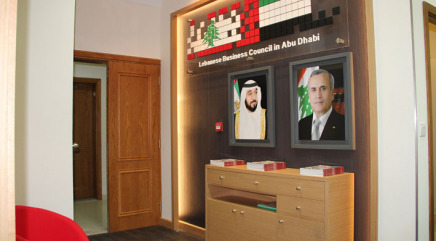 The Lebanese Business Council Office located in Khalifa Street has officially moved to the New OFFICE Location in Khalidiyah, Al Nasr Street, same Building of Al Masraf, opposite to Lebanese Roaster , M02, where we have the facilities of a Business Center to assist new Lebanese companies. consisting 3 Rooms with a Reception & Waiting Area. 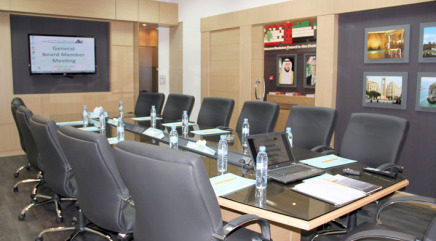 A Vast Meeting Room with a capacity of 15 Attendees. An Office Room for the Office Executive Manager. 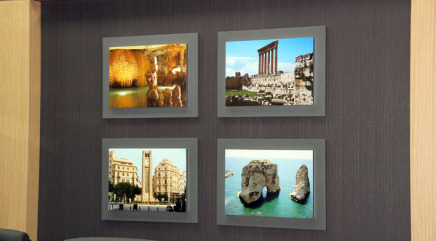 The Reception Area in the entrance of the LBC Office have a 24” LED Screen to display the LBC events pictures along with the forthcoming events schedules & details with a waiting area for the visitors. PBX Telephone system with 1 line and 8 extensions capacity is made for the office setup out of which 4 are used for four rooms and the balance 4 can be utilized as needed. A Wi-fi Internet service is available at the LBC Office for the LBC Members & Visitors with a security password access for the internet. 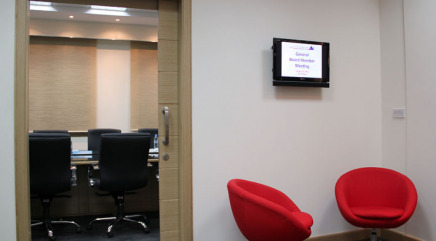 The Conference Room with 15 Attendees incorporate a 50” Full HD TV connected to a Satellite Dish and a DVD player as well. A High Performance Laptop is also connected to the screen for presentations. Days of operation and office hours will remain the same 9:00am to 5:00pm, Sunday to Thursday.